One of the greatest "free" tools available to everyone using digital marketing is Google Analytics. WordFly dynamically tags every link in your email so you can measure conversions directly from an email campaign to activity on your website. Simply put, WordFly appends tags to your links and sends this information back to your website's Google Analytics account. If you haven't already set up Google Analytics for your account, learn more by reviewing this post. What should you do if Google Analytics doesn't seem to be working for my emails? utm_source Campaign Source. This will be "wordfly"
utm_medium Campaign Medium. This will be "email"
*Your Campaign Content (utm_content) can be customized by adding names for all your links. WordFly will send the link name clicked. Learn more about setting this up in this post. 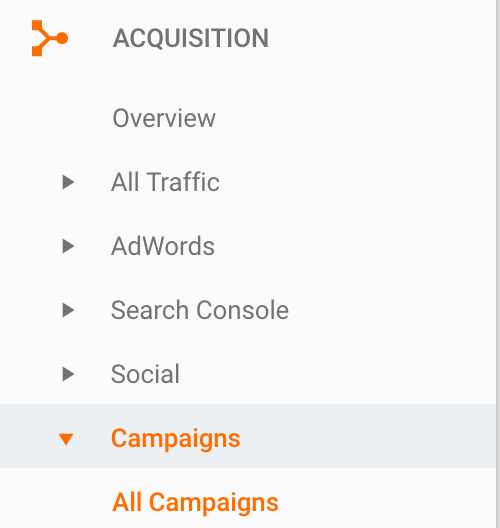 After your campaign is sent, log in to your Google Analytics account to see how the appended data is translated. This is a general guideline for reviewing your email campaign data in your website GA account. For expert guidance there are many great guides on Google’s analytics site or consult a GA strategist for help. Browse to https://www.google.com/analytics/ and select 'Sign In' in the upper right corner. After signing in, select Analytics. 2. Select the main website profile for your organization. 3. Select Acquisition > Campaigns > All Campaigns from the left nav. 4. You should see the "Explorer" tab now. In this section you'll drill down further to review your email campaign data. You can filter by Medium, Source or Campaign Name to revire your sent emails in your GA account. From the Explorer tab, filter the data to your specific email campaign. Click the Secondary dimension dropdown below the "Campaign" primary dimension, then select Acquisition > Medium. Type 'email' into the advanced search bar. This will pull back all your email campaigns using utm_medium=email. From the Explorer tab, filter the data to your specific email campaign. Click the primary dimension Source. Next to the search field, enter your campaign source term (ex, 'wordfly' as in utm_source=wordfly) and click the magnifying glass button. This will pull back all your email campaigns using utm_source=wordfly. AB campaigns will have a ‘utm_content’ variation for A versus B ("utm_content=version_A" or "utm_content=version_B”). 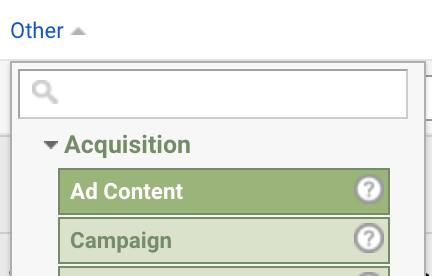 You can see utm_content results in your GA account under the Explorer tab, first from your campaign name and then from the Primary Dimension click the Other drop-down and then select Acquisition > Ad Content report. Review revenue generated from the email campaign. From the Explorer tab, select ‘Ecommerce’ to see how much revenue was generated from a specific Campaign. What should you do if Google Analytics doesn't seem to be working for your emails? If there seems to be something wrong with your Google Analytics tracking, there are a few things to check. 1. 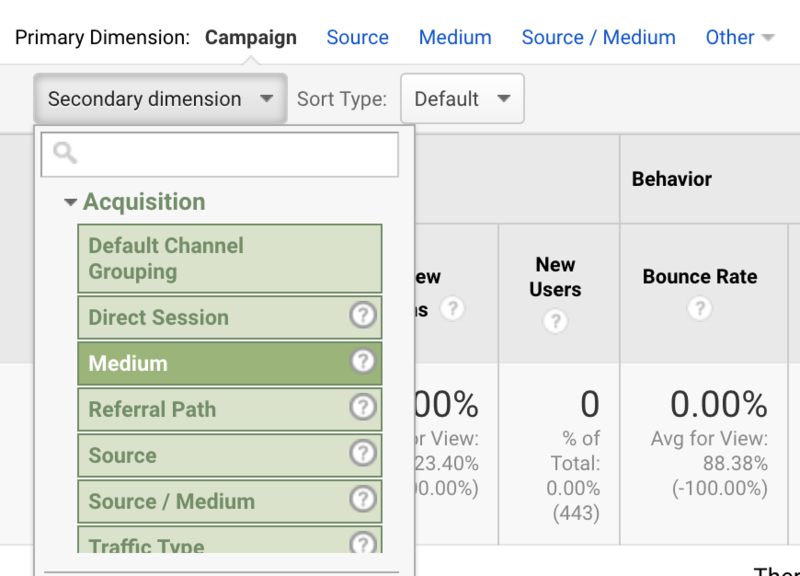 Is Google Analytics turned on in the Campaign? To double-check, open the campaign you just sent. You'll be on the Summary page. Scroll down to the Settings section. If Google Analytics was enabled, you'll see "Use Google Analytics tracking for my links." If you aren't seeing this, then the option was not checked on the Settings tab during the Campaign set up. 2. Does your website code allow the Google Analytics variables in links? Your website pages need to allow outside parameters in order to accept the links that contain Google Analytics tracking (utm_source=, utm_campaign=, utm_medium=). If links from your email are redirecting to your site and resulting in "page not found" or some other type of error, then it is likely that your website pages are not accepting outside parameters. 3. Is there a space after the URL in your campaign or a special character? Google Analytics isn't able to track the link and actions if there is a space or special character in or after the campaign name in your url's. Make sure to test your links before sending out your campaign. How do I activate Google Analytics tracking?